Final Project: JNXD - Um Framework de Persistência Orientado a Objetos. Final Project: JAVA e XML- APIs Para Tratamento de Docum. XML em Aplicações WEB. 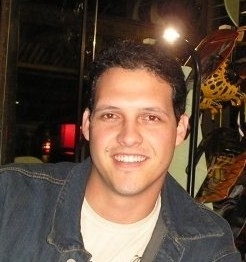 Rafael has seven years of hands-on experience with development of Java applications, most of them Web applications. He worked with some technologies like JSP/Servlets, Struts, JSF, Hibernate and Spring. During these years he accomplished relevant experience and knowledge in applying design patterns, designing software architectures and developing applications on JavaSE, JavaEE. He also used this knowledge to teach some courses on Java technology. Rafael developed the abilities to work in group very well, which he consider very important to get successful in a project. Rafael worked about two years for projects involving the Federal Brazilian Bank and Brasil Telecom, where he could work with foreign people and to improve his way of working and communicate to people from different cultures. After reach all this experience and knowledge he started to work in big projects for the US. He worked in systems development, performing tests following the company’s process specification that is based on the CMMI level 3. He had improved some skills like development team leadership, strong problem solving during development and test phases, with experience on coordinating development and test teams to solve technical issues. Worked in projects using PMBOK and agile projects using SCRUM. Tools: Rational Rose,Enterprise Architect, Eclipse, NetBeans, JDeveloper, JBuilder. Framewroks: Struts, Hibernate, iBatis, Commons, Spring, EJB, Ant, Ajax, JUnit, JAXB. Database: SQL Server, PostgresSQL, Oracle Database, DB2, MySQL. Visit my LinkedIn profile to get more information about it.